A coveted expansive one-bedroom facing the garden is available in a premier co-op in historic Jackson Heights. 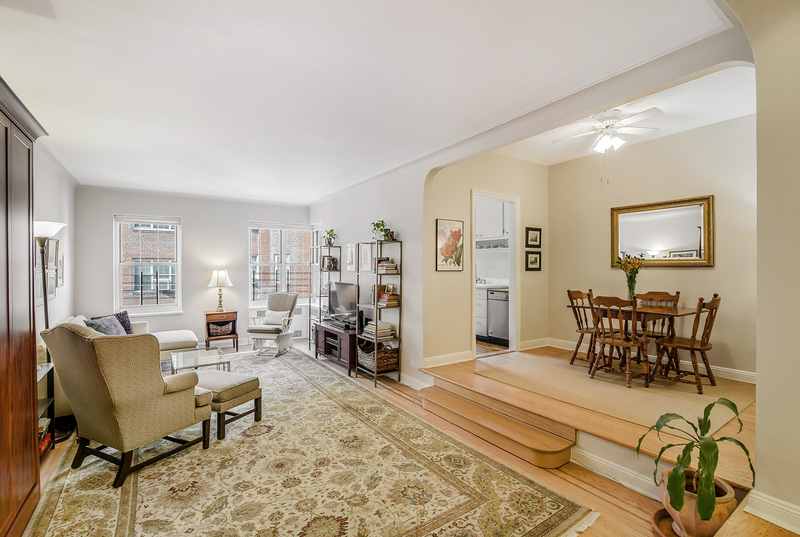 The unit is flanked by classic pre-war details, built-ins, original wood floors, and great light. 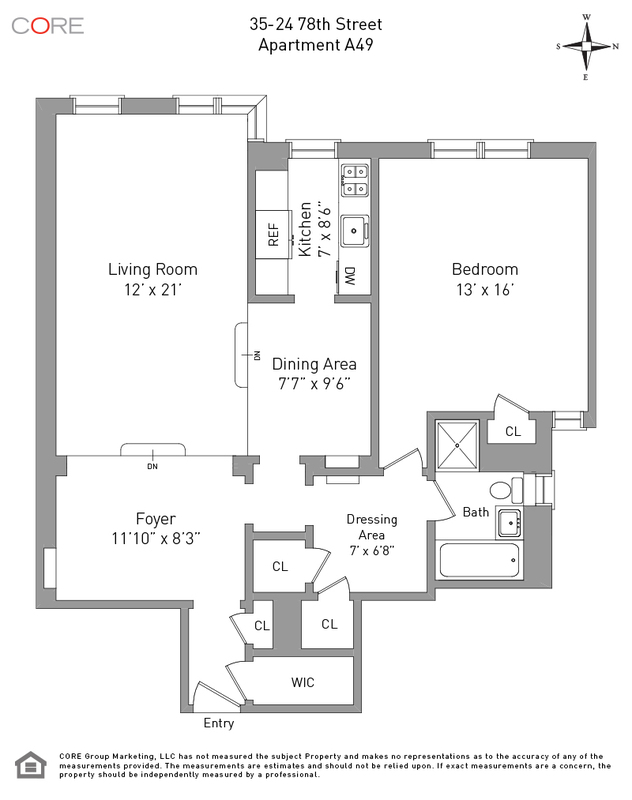 Enter through a grand foyer into a large sunken living room with two exposures and an unassuming Murphy bed. The generous dining area leads to a windowed kitchen with beautifully restored cabinets and a wood floor. The dressing area, large enough for seating, leads to the bedroom with double windows that overlook the garden. The immaculate white tiled bathroom includes a soaking tub and shower stall with a new glass door. Storage abounds with five closets including one large walk-in.